Building a new winery or expanding an existing facility is a tremendous undertaking. From wine country to urban backdrops, the processes involved are numerous. Permits & licenses, design plans & review, and estimates, inspections, & documentation are all crucial aspects of the commercial construction process. For those who know and for those about to, there is much more to consider than locating an appropriate plot of land and constructing a building. Experience and expertise are exactly what you need in order to produce a successful project that not only exceeds expectations but finishes on time and on budget. Sonoma County, like most municipalities, require a Use Permit to be acquired or an existing permit to be amended before any construction or expansion may take place. Essentially, a Use Permit details what your to-be-constructed commercial property will be allowed to do in regards to local planning and zoning laws. 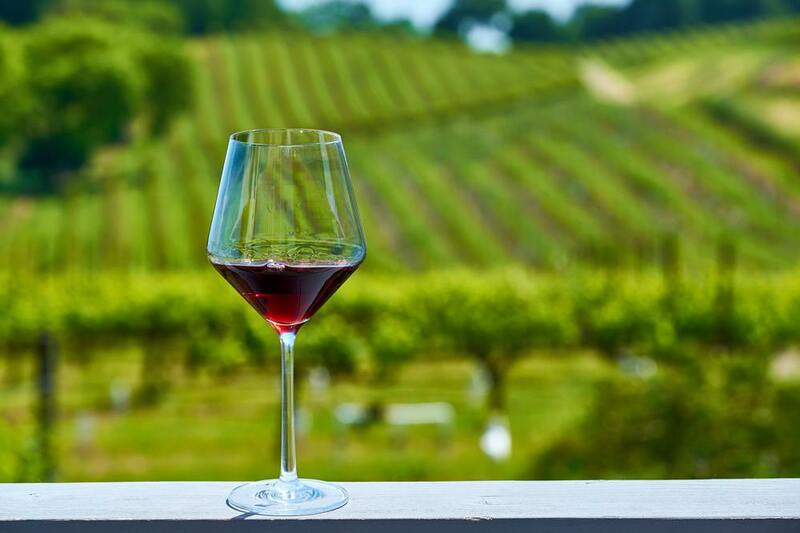 This can be a complicated endeavor without the assistance of a professional winery contractor as it requires a thorough understanding of what you envision from your new winery and what is allowed by the community. A common problem winemakers come up against is when their current Use Permit doesn’t completely match up with new plans. Don’t let red tape impede on how many cases of wine you may produce or interfere with your ability to host events. Stay up to date with accurate permits and regulations. At FDC, we’re there for you throughout the entire winery construction process. We’ll assist you with all necessary documentation, including all permits, reviews, and inspections. Another highly involved process, preliminary design, is a fundamental phase of construction and development. This is where you get to talk about your initial concept and desired outcome. It is important that you have (in your mind at least) a broad vision of what you hope to achieve. How much production do you anticipate now and in the future? Are you planning for brand new structures or expanding existing? Will you be including public areas, tasting rooms, or retail store space? Do you plan on a commercial kitchen to serve food? Will the location be used for hosting events? Will you require agricultural channels or structures? Depending on your needs and their feasibility, your construction project plans will likely adapt and change. With the help of a skilled and insightful contracting company, you can adjust plans to meet time and budgetary concerns while still achieving the exact look or feel you had initially envisioned. Often, due to their winery construction history, our architects and contractors will be able to provide clever and smart solutions to common problems. With a preliminary design in place, everyone involved (owners, engineers, contractors, and architects) can have a current and complete understanding of the project moving forward, cutting costs and reducing project timelines. When it comes to calculating winery construction costs, two key metrics come into play – Winemaking Style and Production Volume. During pre-construction planning, skilled winery contractors work hard to determine what they estimate the entire project to cost by analyzing plans, designs, timelines, labor needs, and materials. These budget estimates are typically based on the current cost projections of materials and logistical details and are actively updated to keep everyone well informed and up to date. For winemaking, it is imperative to establish a concise standard for your entire winemaking process. Usually, projects begin with a budget level in the mind of the owner and then become fine-tuned in order to best meet the needs of desired production and a floor plan that supports that. The manner in which wines are crafted differ for differing reasons; high-volume production compared to high-end estate wines require entirely different facilities depending on volume desired and level of refinement. The owner’s processing equipment, existing or new, also plays a large role in the budget process. Not just regarding the size and placement of new structures but in the preparation of infrastructure. Utility connections such as power, water, and sewage access can be quite costly along with any needed roadways to facilitate access for public and agricultural vehicles. Facility Development Company has its roots in the wine industry. We have designed, constructed, and maintained over 100 wineries ranging from large-scale production facilities down to small boutique style establishments. For over 40 years we have been working hands-on with families and entrepreneurs across northern California. If you’re considering any new construction or expansion of your own, please call or contact online the local winery construction experts at Facility Development Company. Specializing in pre-construction planning, design, and development, we can help you through every step of the construction process in order to make your vision a reality.